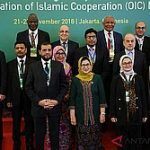 The heads of National Medicines Authorities (NMRA) from the Organization of Islamic Cooperation (OIC) announced the Jakarta Declaration during their first meeting, held here November 21-22. The declaration contains, among others, efforts to harmonize standards of vaccine and self-reliance in medicines, and intensify cooperation between OIC NMRA members. “The Jakarta Declaration is the commitment from OIC NMRAs to work together, towards the Action Plan and its various programs fostering self-reliance. 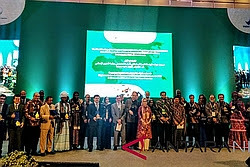 With the diversity of conditions in the OIC, it is our duty to help each other in improving the capacity of regulators and the pharma industries to strengthen aspects of access to safe, quality medicines and vaccines,” said Penny K. Lukito, Head of Indonesia’s National Agency of Drug and Food Control (BPOM). “We are thankful to all participants in the meeting, and the collaboration between OIC Member States. The Jakarta Declaration and Action Plan to promote collaboration are proof of unity and solidarity between the OIC Member State NMRAs towards self-sustaining health developments,” she said. The members agreed to improve cooperation between NMRAs through greater exchange of information and increasing the capacity of human resources to strengthen detection, prevention, and response towards counterfeit and substandard medicines and vaccines, adopting an ‘OIC Action Plan to promote collaboration among OIC NMRAs for self-reliance in Medicines and Vaccines’.